Expecting to be released in July 2017. My father is Peter F. Gillham (AKA Pete or Peter Snr.) who, in the 1970s, was known as one of the top lecturers on the subject of Scientology. In addition to his lectures, Peter authored two successful books “Tell It Like It Is” and “The Fundamentals of Success” which thousands of people credited with helping them. He later became internationally known as a nutritionist with monthly newsletters giving nutritional advice and tips. In the 1980s he developed instant CalMag, leading him to develop Natural Calm by Natural Vitality in the 1990s, which he writes about in his book “The Miracle Nutrient.” Natural Calm remains a best-selling magnesium supplement and has helped thousands of people internationally improve their health. In the mid-1960s ”the Gillhams” were regarded as Scientology’s first family in Australia. When Scientology was banned in the Australian state of Victoria, my parents moved the family to England. Shortly afterwards we moved to the Scientology ships. In later years, we were accepted as the second family of Scientology. Yvonne headed up Scientology’s Celebrity Centre and built it to more than two hundred staff, while Peter introduced people into Scientology through his books, lectures and as the Executive Director of the Scientology Phoenix mission. 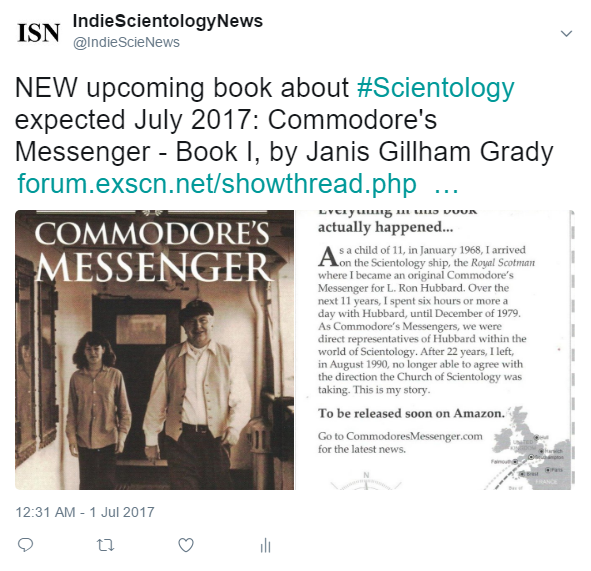 Meanwhile my sister Terri, my sister-in-law Doreen Smith-Gillham and me were all senior ranking Commodore’s Messengers working directly with L. Ron Hubbard, founder of Scientology. My brother, Peter Jr., also worked directly with L. Ron Hubbard on the ship and on land. As a child of 11, in January 1968, I arrived on the Scientology ship, the Royal Scotman where I became an original Commodore’s Messenger for L. Ron Hubbard. 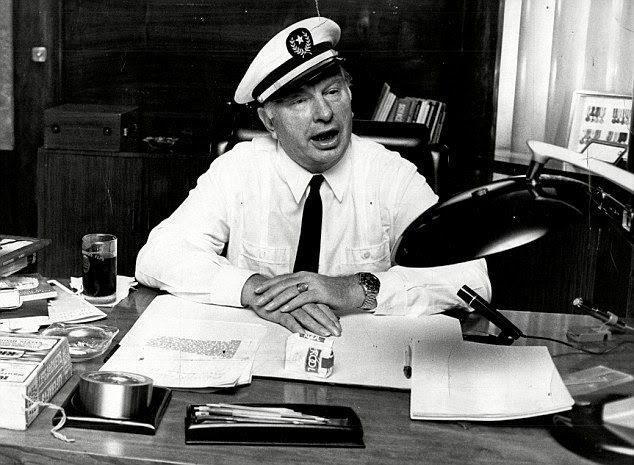 Over the next 11 years I spent six hours or more a day with L. Ron Hubbard, until December of 1979, when shortly after, Hubbard went into “hiding” with fellow Commodore’s Messengers, Annie and Pat Broeker. Hubbard passed away in January 1986. Having lived on the Scientology ship, Apollo (previously named Royal Scotman) for eight years as a personal messenger for L. Ron Hubbard and then another three years by his side as he moved around the U.S. east coast to the west. As Commodore’s Messengers, we were direct representatives of Hubbard within the world of Scientology. After 22 years, I left in August 1990, no longer able to agree with the direction the Church of Scientology was taking. Along with my husband of 11 years, we disappeared into the night to raise a family outside of the world of Scientology. Tweeted with new thread title and thread link. As always, retweets, quotations and replies welcome. Cant wait to read your books! Storys/books about life on the boats fascinate me. It seems so unreal but knowing it really happened just, well, fascinates me. Thank you for telling your story. I am so looking forward to reading your story as you tell it in this book. Can it be advance ordered perhaps through Tony Ortega's Amazon link at the Underground Bunker? It will be released on Amazon as a Kindle followed by paperback. Tony will announce it on his blog once it is ready for prerelease orders. 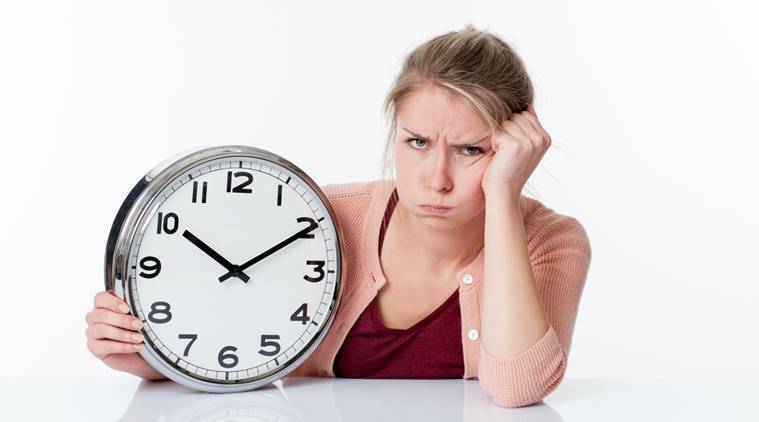 We are doing final proofreading and correctiones this 4th of July weekend. As part of one of the Aussie families who followed you all to Saint Hill, I am SO happy you are doing this. I so look forward to reading this! Having interacted & gotten to somewhat know both Yvonne and Heber. Over the years, I've had a lot of respect for each of them - can't wait to read your book ! No slight to Peter, but, he has always been someone I knew of rather than ever got to know. Where can we pre-order it? I am hoping to have the release date tomorrow. The book is with the publisher for final review. It will come out as an ebook first while the paperback is being printed. What's the release schedule for #2 and 3? BTW, I admire your composure with a certain bozo at the Bunker! started it. It has taken me three years just to do the first two books! So don't hold your breath for book three. Here's a wonderful review of the upcoming book. Janis Grady’s clear, unadorned prose and keen eye for story recounts the many dramatic episodes surrounding Hubbard’s strivings, composing a long and colorful dramatic arc involving battles with hurricanes, governments, shipboard failures and triumphs, and the endless challenges of managing a growing organization behind a large philosophical movement. She tells a hundred different stories, with a clear-eyed, innocent and warm-hearted voice that stands in dramatic contrast to the chaotic times through which she moved and grew. Her voice stands in high contrast, as well, to the many works produced in recent years seeking to act as exposés and scandalous tell-alls. Grady’s voice is that of a child, who has nothing to prove or defend, and who sees the world with very little judgment or condemnation. She writes with resonating honesty, and a dry sense of irony and humor permeates her telling, but she writes with an unscarred clarity that makes her story far more credible and compelling. In this book, the first of several volumes, she creates a picture of Hubbard and the colorful and sometimes stormy life he generated in the formative years of the Sea Organization—a picture which is far more believable, true to life, and human than any previous work on the subject. This is a must-read for any student of the subject or the times. I just want to post the cover picture in full, it says so much. Click for larger version. By any chance do you happen to have a copy of the Code of the Commodore's Messenger (or similar wording)? I saw it years ago, and it would be interesting to see again - and also have it on the record for all to see. I'm looking forward to reading your book, Janis. Did you happen to know Barbara Silver from your CMO days? Her father was Arthur Silver, from New York. Over the years the unthinkable thought pushed forward more and more....it was 'that I observe that LRH was demonic at that time'. I did not want to know that, did not want to believe that.......that was too incredible to be believed - even for me - I did the usual make nothing of myself....'you're seeing things', 'what do you know', 'you've got overts' - much easier to blame self than confront what is. I'll hold my breath and turn blue if it helps! You have so much priceless information that it would be heartbreaking to lose if it doesn't get recorded somehow, even just raw audio reminisces. As an aside, do you know what happened to Nikki Freeman? She must have a wealth of stories. I'm also surprised that the two surviving LRH children that are out of the church haven't written their own books. Yes, I knew Barbara, we were good friends.